The passing of the Medical Evacuation Bill was a defeat for the Morrison government. Sort of anyway. The minister can intervene and prevent a medical evacuation and the new law does not apply to new arrivals. On the other hand, this has been a political setback, underlining the perception that this government is continuing to lose control. The Medical Evacuation Bill came out of exposures and pressures mounted by doctors on the scene and Manus, and they made the government look particularly brutal in Australia’s eyes. It has proved to enough to worry and win over the crossbench. The need to act was pushed in the parliament by new high profile independent Karen Phelps. Its time had come, because ongoing disclosures and changing public opinion had already forced the process of closing Manus and wanted more. 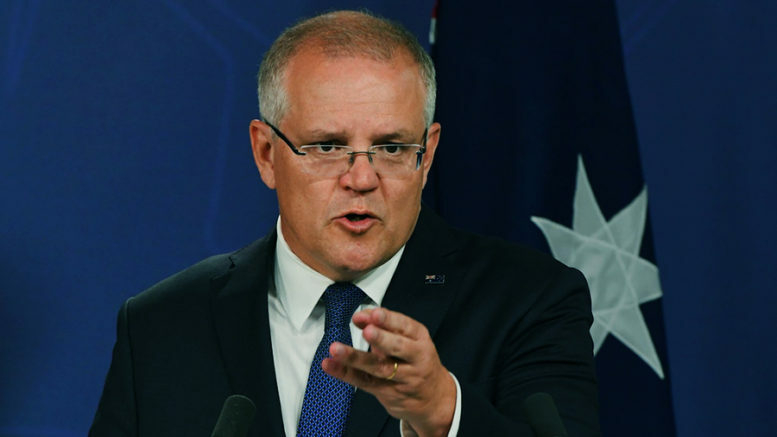 To underline its claim, the prime minister called a press conference to tell Australia he had convened the national security committee of cabinet to strengthen the capacity of Operation Sovereign Borders, in line with the so-called emerging threat. Through this use of dishonest politics, Morrison has moved to create the image of a national crisis and hide the details behind a wall of secrecy. Governments don’t do this, unless there is a genuine crisis of some sort, or they are planning to whip up a scare campaign to achieve questionable political objectives. Questionable is the appropriate word here, because a government that has nothing to hide, doesn’t have to use subterfuge. It has more to gain by being honest and relying on the trust of the people. What we are going to get, if the attempt doesn’t fall over first, is that Australia’s borders are in peril and this means that extraordinary measures must be taken. In comes the re-opening of detention at Christmas Island. Offshore detention will not come to an end. It will be rebuilt. To do this, the government is gambling on its ability to create enough fear and division within the Australian community, in the style of John Howard in the 1990’s. It is a political diversion, aimed at saving saving the long running detention policy. But most of all, it is an effort to save a government staring at a major defeat in the coming May election. Since Morrison took the helm, the public perception of an indecisive, out of control and divided government has only deepened. Morrison is trying to correct this with the image that he is the firm leader and defender of Australia from those who would harm our interests. This is a gamble. There is no guarantee that it will pay off. Time has moved on since John Howard. Trust in politicians is considerably lower. Support for more humane government is higher. There are other issues that are considered to be of great importance, like having an affordable hoe to live in, doing something about failing employment opportunities and standard of living, doing something about massive corporate tax evasion and the cheating of the banks. There is that elephant in the room, the threat of climate change. Still, Morrison’s chest beating brings the threat of government continuing its slide into the pit of inhumanity and disregard for basic human decency and democratic rights. The government goes down the path of treating some human beings as something less than human, the more our own established rights as citizens of this nation are eroded. We have already gone someway down this road. Only the challenge by those who see what is happening and are prepared to stand up against it, has prevented worse. 4 Comments on "Morrison government diverts embarrassment with return to Howard era response to asylum seekers"
the only way there is likely to be an influx is if the LNP finances their fares. Morrison will never shake off the shame for what he and his colleagues have forced these people to endure. He will wear it like a shroud for the until his dying day. Unfortunately Australia has also been tarnished and it’s standing in the international community undermined especially with such a disturbingly great proportion of the public while being fully aware of the cruel deprivation and hardships these Manus and Naru political prisoners have been forced to endure somehow possess no compassion remain entirely indifferent to their suffering or even express support for liberal policy to continue and since I’ve lived in this country I can scarcely recall anyone prepared to act or even raise a dissenting voice in defence of the basic human rights denied for years to these vulnerable men women and children. It’s perhaps worth considering how harshly those in the future will judge this sad and inglorious episode of Australian history. What is more likely to happen is Borderforce will start handing out bribes to leaky boats to COME to Australia instead of bribing them to go away. After all the LNP are their political masters and bribes have all ready been paid under cover of the “On Water Matters” cloak of silence!